Judging from the titles in the general and academic press, you would surmise that American Jewish women were not active in the biggest social movements of the 20th century. And you would be wrong. The paucity of scholarship in this area led Melissa Klapper, a historian at Rowan University, to a six-year odyssey that culminated with her latest book, Ballots, Babies, and Banners of Peace: American Jewish Women’s Activism, 1890-1940 which highlights the role of American Jewish women in three social movements for suffrage, birth control, and peace. The women’s rights movement was launched at a convention in Seneca Falls, NY in 1848. It was held in a church, and no Jewish women were in attendance. (There were only about 50,000 Jews — 0.22% of the total population — in the United States at the time.) In fact, there had been tremendous anti-Semitism in the early years of the movement. After Colorado gave women the vote in 1893, women became newly energized. Then, the American Jewish community itself expanded, with immigrants arriving from Eastern Europe that were already politicized with experience in the labor Bund political party, Zionism, or social reform. The National Council of Jewish Women never did take an official stance on women’s suffrage, but most of its members were in support. One prominent Jewish activist was Maud Nathan, who leveraged her fluency in French and German to serve as translator in international conferences. She helped spread the movement by writing articles and the lecture circuit, with 10-12 engagements a week. However, her sister, Annie Nathan Meyer, was a vocal anti-suffragist, which may be surprising considering that she founded Barnard College. The successes of suffrage depended in part on votes of Jewish men, but anti-Semitism re-surfaced with the defeats in referenda in New York, Pennsylvania, and Massachusetts in 1915. Jews realized that they couldn’t change the movement. Jewish women also lobbied for increased power in the Jewish community and synagogues. After 1920, when the Nineteenth Amendment for women’s vote was ratified, synagogues across the spectrum opened their boards to women. With the achievement of the women’s vote, some women were looking for another social cause. They found it in the nascent birth-control movement. 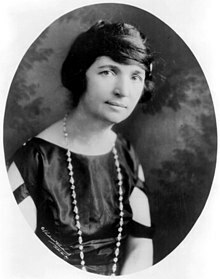 Margaret Sanger, a Catholic whose first husband was a Jew, opened the first birth-control clinic in 1916 in Brownsville, Brooklyn, which had a huge immigrant population of Italians and Eastern Europeans. These women did not care about religious prohibitions; they wanted control over the size of their families. The reality of childbirth in the early 20th century was grim: 20% of the children died before the age of five, and 1% of live births caused a maternal death. The women lined up for blocks near Sanger’s clinic, waiting with their baby carriages. Before the clinic was closed — after ten days — because of federal laws on “obscenity”, the women left with contraceptives and knowledge to pass onto their sisters and neighbors. Sanger had left for the Netherlands, where birth control was legal, and the next clinic would not appear in the United States until 1923. Jewish women were early adopters across the classes; their birthrate dropped by 2.8 children per woman in 30 years. Jewish women were also distributers of birth control as clinic staff and physicians. Dr. Klapper attributed this to the Jewish value of tikkun olam (repairing the world) as well as to the prevailing anti-Semitism, when qualified Jews often found it hard to obtain employment. Jewish women were also activists across the class lines and at all levels of involvement. All major rabbinical groups discussed birth control. The first and most influential opinion published was issued by the Reform movement: Rabbi Jacob Lauterbach, who’d studied in a traditional yeshiva in Berlin, whose scholarship on this subject — and allowance for contraceptives — was so rigorous that his opinion was accepted by the Conservative movement. Dr. Klapper showed Lauterbach’s writing to Orthodox rabbis during her research, and they confirmed to its validity. The Orthodox Union was pressured by the Catholic Church to condemn contraception, but it allowed congregants to consult their local rabbis. Before the 1930s, all press writings about contraceptives were in code, referring to “family well-being” or using words for the materials used in birth control. The third social movement covered in the book was the peace movement, which initiated in the 19th century but did not grow strong until after World War I. As in any war, the first world war was devastating for Jewish communities. The international Jewish network that developed for the peace movement was later the model for the women’s peace movement. Jewish women were not naïve believers; they tried to arbitrate conflicts and worked for arms reduction. The League of Nations, which we now regard as a failed effort, was somewhat successful in the 1920s and 30s, particularly the Kellogg-Briand Pact of 1928, with over 100 countries signed on to renounce the use of war and called for the peaceful settlement of disputes. The rise of Nazism in the 1930s posed a dilemma for the Jewish pacifists. How would the women respond? Some decided to fight the evil of Nazism, but some resolved to continue peace negotiations. In 1933, pacifists were amongst the first people rounded up by the Nazis in Germany. By the time World War II broke out, most Jewish groups had changed their position to against pacifism. Some women still couldn’t support the war efforts, such as volunteering for the Red Cross, and one woman, Rebecca Hourwich Reyher, moved to the Dominican Republic to help the Jewish refugees arriving to rural Sosúa. The prevailing view of women’s activism is that it was dormant from 1920 to 1960. Dr. Klapper has shown with her meticulous scholarship that it was not so. (Philadelphia) An accrual of timely major changes in clergy training at the Reconstructionist Rabbinical College (RRC) became apparent at the 2010 ceremonies graduating new rabbinic and cantorial clergy, and masters degree students. RRC is the seminary and movement founded upon the rational teachings of Rabbi Mordecai Kaplan. His articulate demystification of the development of Judaism and the Jewish people afforded the conceptual grounding for the evolving nature of contemporary Jewish practice and clergy training. As an alumna, it was healing to hear Reconstructionist Rabbinical College President Daniel Ehrenkrantz observe out loud that RRC had long been a place where “the head was celebrated over the heart.” Coming to rabbinic training as a board certified social worker, it was uncomfortable being prepared to serve those suffering, celebrating, growing and developing as people and as Jews primarily by means of utterly fascinating scholarly studies. So nice to hear from President Ehrenkrantz that’s all shifting! In the age of the internet where clergy are no longer primarily needed to serve as human hard drives stuffed with Jewish information, remaining relevant, useful and appreciated increasingly involves expanded skill sets. So, while not as extreme as the shift from priesthood officiants in the sacrificial system to scholars of Jewish law, the changing nature of Jewish clergy training at RRC announced is excitingly substantial. There’s a lot that’s interesting to relate to you. Being a trendsetter in Jewish life is not new for Reconstructionist Judaism. The Reconstructionist Rabbinical College was the first American seminary to graduate homosexual Jewish clergy and to incorporate matters of gender studies in its curriculum. And, after an extensive tenure, Dr. Lori Hope Lefkovitz is leaving her RRC chair in Jewish Women and Gender Studies for another in Jewish Studies at Northeastern University. Her RRC position was envisioned by students and faculty back in the early 1990’s as part of the original Jewish Women’s Studies five year plan. Now that’s planned change – from ideal to realized within one generation! Visual evidence of the advancement of women in the rabbinate sat front and center on the bima before all, seven women and two men, now known as Rabbis and and a Hazzan. Rabbi Deborah Waxman and Isabelle Dekonick also rose for their certificates in Jewish Women’s Studies, given by RRC in conjunction with Temple University. RRC also offers parallel training in how to foster understanding among people of all faiths under the supervision of Rabbi Nancy Fuchs-Kreimer, with a special emphasis on Jewish-Muslim engagement. Additionally, RRC maintains Hiddur: The Center for Aging and Judaism, and also the Center for Jewish Ethics. Can a Rational Seminary Incorporate Spirituality Training? Spirituality ceased to be a scorned term shortly after the World Trade Center was attacked. We all were hurting in some undefined place within ourselves for which the term soul seemed most apropos. Help for those sore of soul, seeking in regard to important life issues, including one’s relationship to God, is known in Judaism as hashpa’ah, the field of Jewish spiritual direction. This was first introduced outside of Hassidism by Rabbi Dr. Zalman Schachter-Shalomi, who has by now taught or lectured at most Jewish seminaries in North America. RRC now provides formal individual spiritual development of clergy students, under the supervision of its former academic dean, Rabbi Jacob Staub. In social work school we were taught to respect that “all change is difficult.” Honored on the RRC graduation dais, prominent scholar and author Dr. Paul Mendes-Flor of University of Chicago and Hebrew University, was introduced by an usual quote from his own work: “Nothing Jewish shall be considered alien.” Hopefully this was a comforting thought to some of the rationalist old guard lay leadership of the Reconstructionist movement after the invocation, when Dean of Students and Chair of Contemporary Judaism, Dr. Joel Hecker invoked angels in his benediction. When those graduating opened their collective presentation by speaking of their “immersion in the Divine,” a former RRC board member to my right softly groaned, “Dear God, what’s becoming of this institution!” He then chuckled aloud at the expletive he’d so unconsiously uttered. But fear not, the more things change, the more some things remain the same. Upon requesting ordination photos for this article, the public relations person sent them with the following clarification: “RRC does not use the term ‘ordination’ because it has the connotation of a divine intervention or intentionality that is not part of Reconstructionist Judaism.” Nor is there the laying on of hands that I experienced in receiving years later in addition to my RRC graduation, the honor of lineage smichah as rabbi, mashpi’ah (spiritual director) and shlikhah (emissary) from Rabbi Dr. Zalman Schacter-Shalomi. Smichah is the tradition of ordaining rabbis that derives from Moses’ laying his hands upon Joshua in passing on the mantle of leadership. Instead, as pictured, students have developed an accommodation to the RRC policy, not just the receipt of a diploma, but also students placing on each other the mantle of a tallit to mark the spiritual passage from student to graduate. And yes, the two rituals do feel remarkably different – one powerfully confers a profession, the second connects one’s Source of support and inspiration all the way back to Sinai. Rabbi Sandy Berliner for her role as a leader in hospice care, with seniors and teenagers here in the Philadelphia area. Rabbi Deborah Brin, one of the first Reconstructionist rabbis raised in a Reconstructionist home and community and one of the first lesbian students and rabbis out of the closet. Rabbi Andrea Gouze, part of the early generation of Jewish women who took on a congregational rabbinate before women were widely accepted in the pulpit has also had active involvement in the Association of Jewish Chaplains, working on the professionalization of Jewish chaplaincy. Rabbi Barry Israel Krieger, an early and ardent voice leading the RRC community to consider environmental concerns. Amazing to take in that it has only taken one generation for women and gender studies, spirituality, GBLTQ inclusion, Jewish chaplaincy, and other forms of non-pulpit communal service to become core to clergy training. Congratulations to the administration, lay leadership, staff and faculty and mazel tov to the Reconstructionist Rabbinical College’s new graduates. Reconstructionist Rabbinical College 2010 Graduates as pictured from left to right. Front row: Rabbi Sarah Newmark, Rabbi Julie Pfau, Rabbi Allison Peiser.